Channel Fisheries is so committed to quality seafood that the majority of our fish is landed by boats captained by local skippers with decades of - and in some cases generations of experience. Different boats catch different fish so we buy from a combination of Beam Trawlers (affectionately known as Beamers with lovely names like Emilia Jayne, Becky Lou), Day Boats and a small pelagic fleet. Most of our boats catch fish by the trawling of nets attached to the vessels by sturdy frameworks (although some of the Day Boats use static nets or hooked lines). The nets are cone-shaped, with a large opening attached to the trawl doors – also called sweeps – and a tapered end known as the ‘cod end’, which the fish swim into when caught in the net. The Beamers are our largest boats and use heavy trawling gear called chain mat gear to catch the Dermersal fish (Monkfish, Brill and Plaice) that live and feed near the seabed and the Benthic Demersals (Turbot and Soles) that bury themselves an inch deep in the sand. Day Boats are smaller and use lighter nets with ticklers to catch a variety of fish from both the seabed and the lower sections of the sea so they bring in a combination of Demersals (Lemon Soles, Ray Wing) and Benthopelagic fish (Sea Bass, Cod, Grey Mullet and Mackeral). The pelagic fleet catch the small fish that live neither close to the shore nor near the bottom of the ocean – Anchovies, Herring and Sprats. In Wales we work with the local crab and lobster fishermen and the local cockles and mussel pickers to gather delicious shellfish. 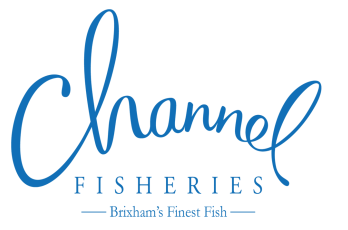 Our boats working out of Brixham in Devon fish the waters of the English Channel as far round to the Bristol Channel and our 200-strong Day Boat fleet in South Wales catch fish inshore in the Bristol Channel and as far round as Aberystwyth. Our shellfish comes from the area around Burry Port in Wales and at Bessands Beach in Devon. Wherever and whenever we fish we are committed to sustainability so that stocks are kept high and our fishing industry has a future.